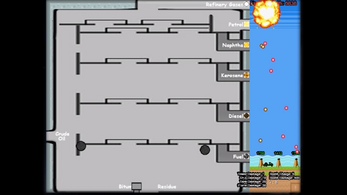 If the game does not start when "Enter" is pressed, enter and exit Full-Screen by clicking on the bottom-right corner icon of the window. Bubble Aliens is a short serious game designed to teach people about hydrocarbons, cracking and fractional distillation and their uses. 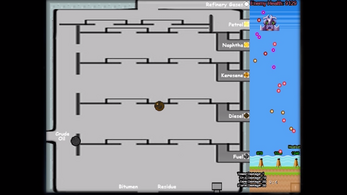 Through repetitive gameplay the player will learn what each hydrocarbon can be used for. 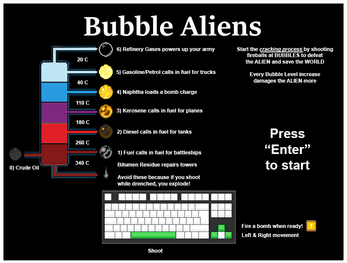 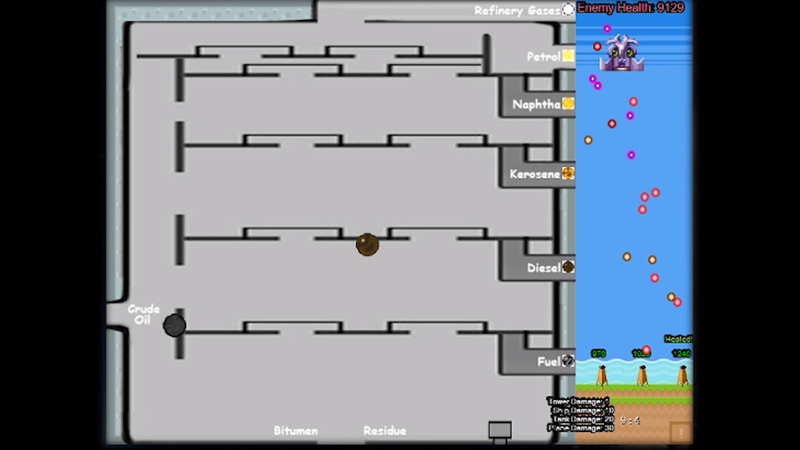 The game has several bugs - collision handling sometimes messes up, text sprites aren't destroyed correctly, sounds overlap, and a major bug of which bubbles don't reset correctly until it's been popped again and thus the same unit can spawn multiple times. 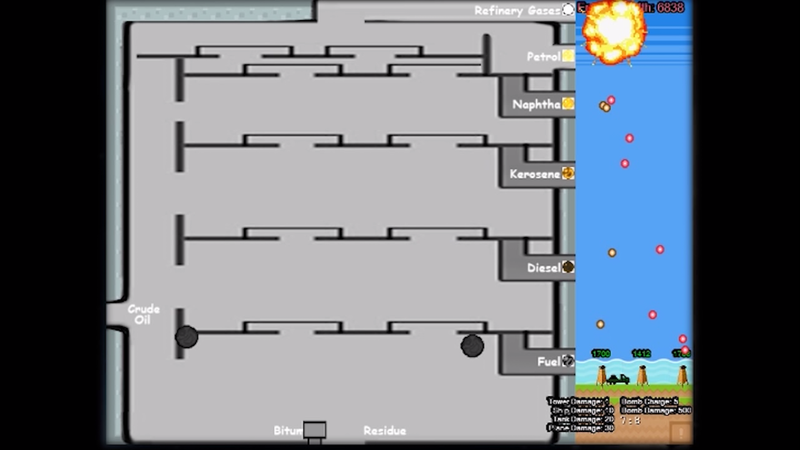 Arrow Key Up - Release Bomb.